Chronic disease prevention in community settings: I am passionate about improving the health and wellbeing of our community by ensuring the environments in which we live, work and play is health-promoting. Specifically, my research focuses on implementing efficacious policies and programs in community settings, in particular schools, which support children and their families to eat a healthy diet and be physically active. Implementation science and scalability: We know that there is a significant gap between interventions that research has shown to be effective and their translation into routine practice. I am particularly interested in the methods and strategies used to promote the implementation and scalability of interventions that have proven to be effective in a small number of schools for example, so that they are delivered in every school in our region or broader. I was a secondary school PE teacher which I loved, however I could only ever influence the health of a relatively small proportion of the population. Moving into Population Health, which combines research and practice, is my dream job as I get to ensure that evidence-based programs are being delivered to the whole community in the most effective and equitable manner, thereby potentially impacting the health of hundreds of thousands of people. Utopia! Where every community setting such as schools, childcare services, hospitals or sporting clubs were supported to implement policies and programs that will improve the health of our population. 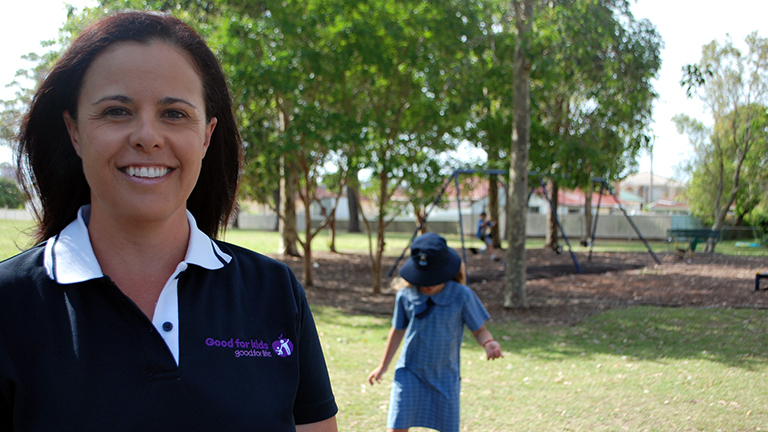 Dr Nathan has more than 15 years’ experience as a health promotion manager with Hunter New England Population Health, where her primary role is to lead a multidisciplinary team to deliver child obesity prevention programs to the community. Dr Nathan is a trained physical education (PE) teacher, has a Masters in Medical Science (Hons) Health Promotion and in 2016 was awarded her PhD from the University of Newcastle. Dr Nathan has extensive experience in both the topic and methodology of health services research and implementation science demonstrated through her leading; the schools’ stream of Australia’s largest child obesity prevention program Good for Kids. Good for Life; the NSW Healthy Children’s initiative in Hunter New England schools; and a series of trials of policy and practice change interventions in primary and secondary schools including some of the largest internationally. Such research has received national recognition, including awards from the Australian National Preventive Health Agency for research translation, and the NSW Government, and have yielded changes in NSW health, education and other non-government agencies policies and practices. In 2016 Dr Nathan was awarded a two-year NHMRC Translating Research Into Practice (TRIP) Fellowship, a three-year Hunter New England Clinical Research Fellowship and a prestigious Sir Winston Churchill Fellowship, all of which focus on the science of implementation to improve the uptake of physical activity policies in schools. As school-based physical activity policies are effective in improving child activity, improving their implementation could improve the health and wellbeing of more than 2 million Australian primary school students. To address the multiple barriers we know schools and other settings face when trying to deliver health promotion policies and programs, most of my work has utilised multiple implementation support strategies. However these are often time- and resource-intensive to deliver. In order to advance implementation science we need to identify the most efficient and cost-effective implementation support strategies that can be delivered at scale.